Beginning in the early 1900s, several attempts were made by Cleveland area business leaders to merge Cleveland’s suburbs into the central city. In 1910, for instance, Lakewood residents voted 1456 to 977 against a merger with Cleveland. In 1916 another failed annexation effort was based on the slogan "Detroit shall not outstrip Cleveland" as at that time Cleveland was in fear of losing her title of "Sixth City" to her Michigan rival. In 1919 Cleveland area business leaders, the forerunners of today’s Team NEO and Cleveland+ attempted to merge Cleveland’s suburbs into one large city through the process of a constitutional amendment providing for annexation. Business leaders met at the Statler Hotel in downtown Cleveland to establish a committee whose intent was to merge the cities of Lakewood, East Cleveland and Cleveland and the villages of Bratenahl, Shaker Heights, Cleveland Heights, Euclid, West Park, South Newburg and Newburgh Heights into one governmental entity. 1. That wherever there exists in a single county a group of politically separate organizations, which are sociologically, economically, and industrially a single organization, the demands of economy and the application of sound public policy require that they be united politically. Lakewood elected officials and those of other municipalities fought the efforts vigorously. The Lakewood Press of Jan. 23, 1919 reported: ”Members of the executive committee of the Cuyahoga County Anti-Annexation League met Tuesday afternoon to consider further plans for the completion of an organization to fight the county-city merger legislation at Columbus. C. A. Neff of Bratenahl presided and Samuel Potter Burrill of Lakewood acted as secretary. Other representatives of the executive committee present were: Frederick B. Ayer, East Cleveland; A. J. Throckmorton, Cleveland Heights; W. J. Van Aken, Shaker Heights; Alvord L. Bishop, Euclid. The reasons provided by Lakewood’s Mayor B.M.Cook and other suburban officials who fought the annexation were reported in the Lakewood Press in January of 1919. The Press quoted Cook, “"Lakewood will increase its street lights from 500 to 800 this year while Cleveland lighting will be reduced," remarked Mayor B. M. Cook on New Year's Day, looking over the budgets of the two cities. "Lakewood is adding ten more firemen, an increase of 25 per cent in the membership of our department. It is opening one new firehouse and will add another firehouse before the end of the year. It will increase the membership of the police force. Cleveland on the other hand is reducing its fire and police protection below the safety limit." "If Lakewood were annexed to Cleveland, we should be forced to reduce our street lighting and to submit to a reduction in fire and police protection. 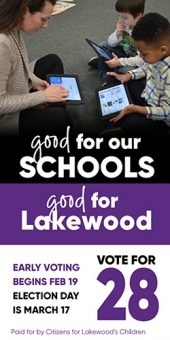 All of which would cost more taxes rather than less for Lakewood. That is one reason why there is practically no sentiment in Lakewood in favor of annexation," Cook continued. Regional proponents argued in support. The Lakewood Press of Feb. 20, 1919 reported, “W. A. Stinchcomb, county surveyor, was the speaker at the weekly meeting of the Cleveland Real Estate Board Wednesday noon at Hotel Winton. He discussed "The Advantages of a Consolidated County Government." In the end, the 1919 county/city consolidation did not occur, although regional efforts continue to this day. One hundred years later many of the arguments regarding the issue have a familiar ring. Author E.G. Lindstrom in the vintage publication, “Story of Lakewood” sums it up when saying, ”From almost the very year of her birth as a city, Lakewood has had to fight for her corporate existence. Cleveland, once so far away, has expanded right up to the city line. 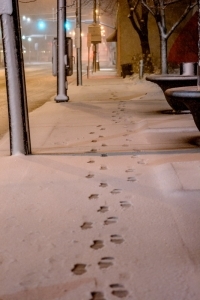 Strangers passing through seldom know when they have left one city and entered the other. In everything except government, the two are one. They are served by the same utilities, their streets merge without a break, and a majority of Lakewood citizens work in Cleveland and think of themselves as Clevelanders rather than as citizens of an entirely different municipality. Lindstom concludes, ”if Cleveland presents such a record of good government that it will erase the memory of past mismanagement, annexation may emerge from the status of a possibility to that of probability."